Welcome to the second part of our ‘Lost in Translation’ series. In Part 1, we helped you decipher the jargon of translation and understand the first steps to take when considering and preparing for translation. In Part 2, we look at how the translation process relates to different channels, including websites, print material and audio-visual content. We’ll also discuss potential issues that may arise when translating. 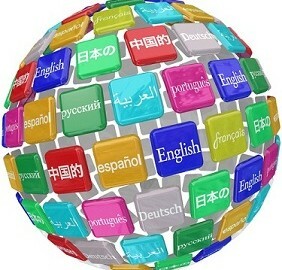 Setting up a website in multiple languages can seem like a daunting task. How is your website currently managed? What Content Management System do you currently use for your website? Does your CMS support other languages? What content is currently online? How do you handle updates to your website? It’s important to look at how translated content will be added to the site. There are a wide range of different open-source content management systems (CMS) available and some lend themselves better to localisation than others. For example, WordPress has a function to easily export content for translation and re-insert it, while others utilise localisation plug-ins. For more detailed information of individual CMS, you can visit our recently published blogs on handling website localisation in WordPress, Joomla! and Drupal. Buy the top level domain name for the specific country, i.e. www.website.de (for Germany) and host the website locally. Use a subdomain, i.e. http://de.website.com. The best strategy in terms of SEO depends very much on your objectives for building sales in the target market. Don’t underestimate the importance of translating and localising your keywords. However, it’s not as simple as directly translating keywords into the target language. The most effective keyword for a product or service in another market might not always be a direct translation of the English term. Website users might drop accents or space words differently to formal language style. To overcome these issues, work with a professional language translation company to carry out your keyword research. Depending on the length of the documents, before translating all of the material and to ensure the translation process runs as smoothly as possible, we recommend that a glossary of key terms is translated from the content together with a sample translation. This can be reviewed and feedback provided before the rest of the material is translated. You may have local market experts to review the translated content and provide feedback. They will have already reviewed the glossary and sample. This review should take place before any formatting is done. Translated text will generally be a different length than the original source. Some languages change more than others, for example German sentences are considerably longer than English. So if your marketing material has been created in InDesign or Quark, some formatting may be required in order for the translated document to match the original as best as possible. Businesses worldwide are increasingly using audio-visual media channels to communicate with an international audience. When thinking about localising video content there are a number of options. You can include a voiceover to your video in the target language, insert translated subtitles or even use both! When localising video content, your translation team will work from a time-coded script. This script can be easily translated the original English content. With voiceover, the audio will be voiced in line with the time codes. This will be the same for subtitles. Finding the appropriate voice for your video is very important. It’s essential to provide a clear brief to the supplier (e.g. younger or more mature voice, male or female). Once you’ve selected your ‘voice’, you may want to use the original company who produced the film to work directly with the voiceover artist to make the recording. Otherwise your translation partner should be able to take care of everything, so you receive a fully localised video. That’s all from us for now. We hope that you’ve found our advice for launching your business into new international markets useful and you’re no longer lost in translation! If you’d like to speak to a member of the Comtec Team about your upcoming translation requirements, please get in touch on +44 (0)1926 335681 or info@comtectranslations.com.